The word “team” is a perfectly good word but one in great danger of crossing the line that divides meaningful language from jargon. We’ve probably all heard it. “You have to be a team player“, they say. The point is that we throw around this word “team” in a very cavalier fashion, maybe because it has that warm glow of inclusion about it. Who knows? So, what do we have to do to ensure that we are creating real teams? Well, I have a few thoughts about that and here they are. This seems a bit obvious but really, sometimes people come together assuming that they share the same idea as to why they’re there but this isn’t always the case. As such, it is always wise to ensure that the purpose and objectives of the team are commonly understood. It might take a little extra time and patience to get there, but failing to gain this kind of clarity can result in people running around like chickens in a yard, accomplishing nothing. 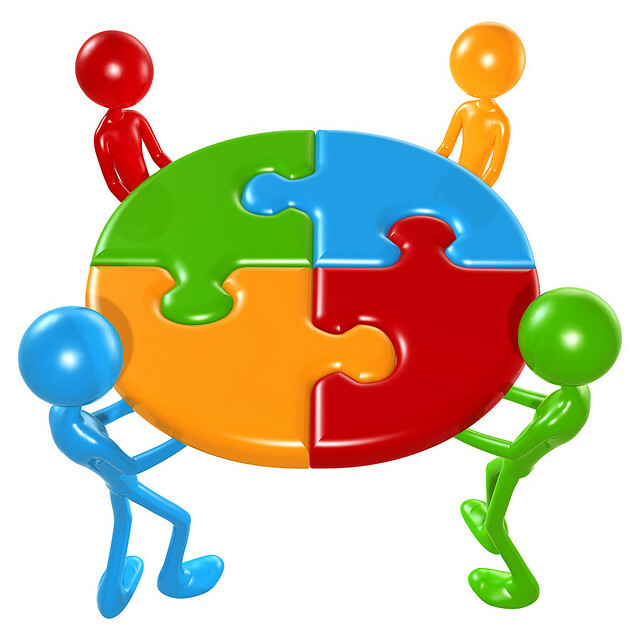 Presumably, when we form teams, we do it with some idea as to how each member can contribute. However, it is always a good practice to give people an opportunity to say where they might make their best contribution. After all, it stands to reason that we do our best work when we are operating from our strengths. And, I expect we are that much happier about it too. As well, knowing where we, and our skills fit into the fulfillment of the team’s purpose helps us keep on track. To me, a true team does not involve hierarchy. Yes, there is usually a team leader in the formal sense but the thing that is placed highest in the minds of all of the team members, including its leader, is the fulfillment of the purpose. That means that the work becomes more important than any individual’s need to be, or be seen to be, the boss. The nature and culture of a team is something of a sensitive thing. The informed leader will appreciate that the introduction of a new member requires a period of adjustment, a little time to review team roles, skills and potential contribution. It is a time of orientation for the new member and for re-balancing and re-connecting to the purpose for the rest. It need not be a long drawn-out thing but without it, it is easy to lose the clarity required to get things done. The team works together until its purpose is fulfilled. It must be said that when one purpose is fulfilled, it is not unusual for teams to re-form and focus on achieving another goal. In this way teams can stay intact for a long time, changing and transforming as new people join and others leave. However, I think that in order to have a raison d’être a real team always needs to be able to easily connect to a tangible purpose. Of course, nothing is simple. There are all kinds of teams… independent teams, interdependent teams, multi-disciplinary teams, sports teams, project teams, self-managed teams. Each has its challenges. But, it seems to me that no matter how big or complicated the team is, to capably function as a team, these elements have to be present. Otherwise, it’s probably a group. And by the way… you don’t have to be a member of a team to fulfill a worthy purpose or accomplish good things. But, if you say you are part of a team just know that it takes more than just saying it to make it so.